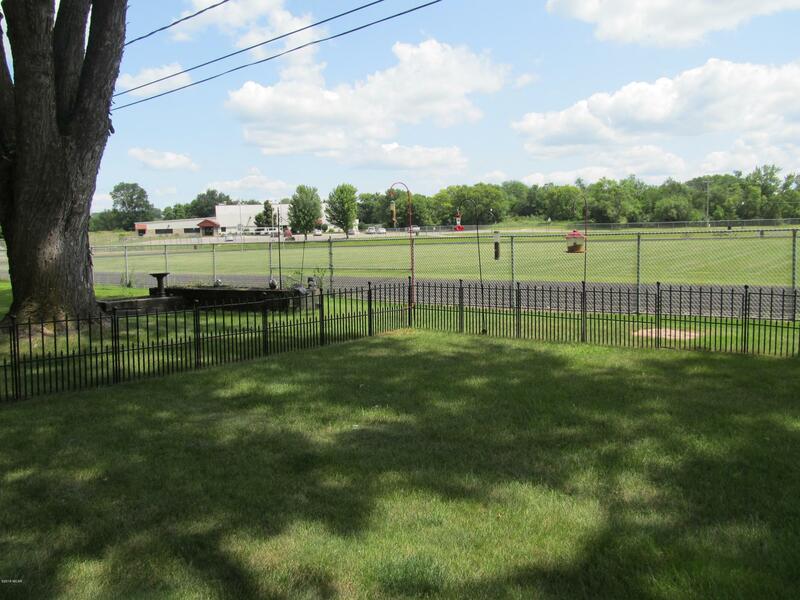 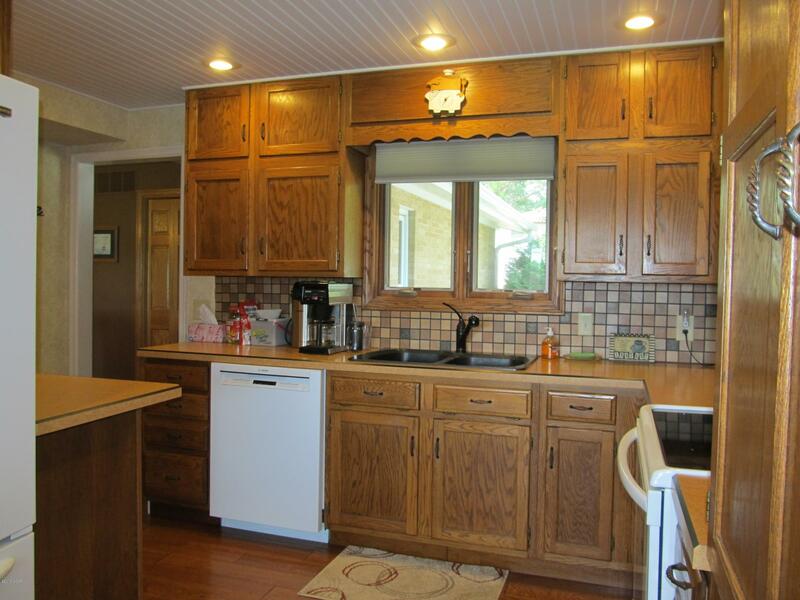 Beautiful well-maintained home in a great neighborhood close to schools, churches and the community center! 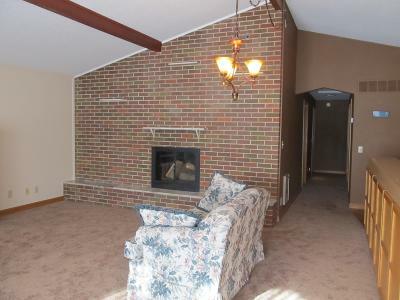 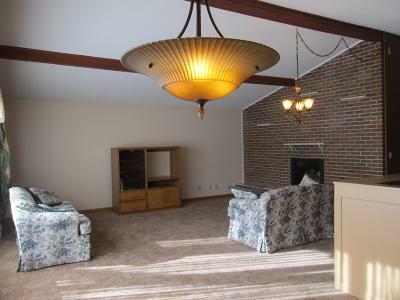 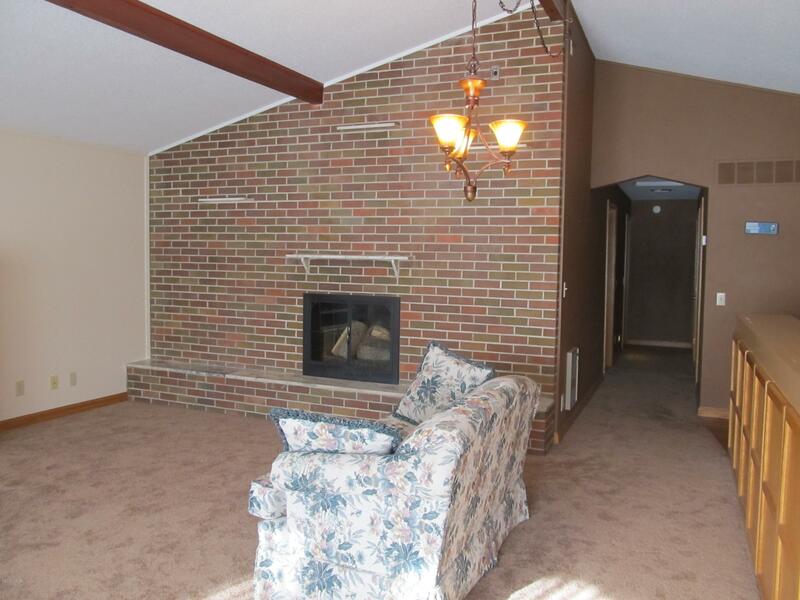 Good sized living room with vaulted ceiling & wood burning fireplace. 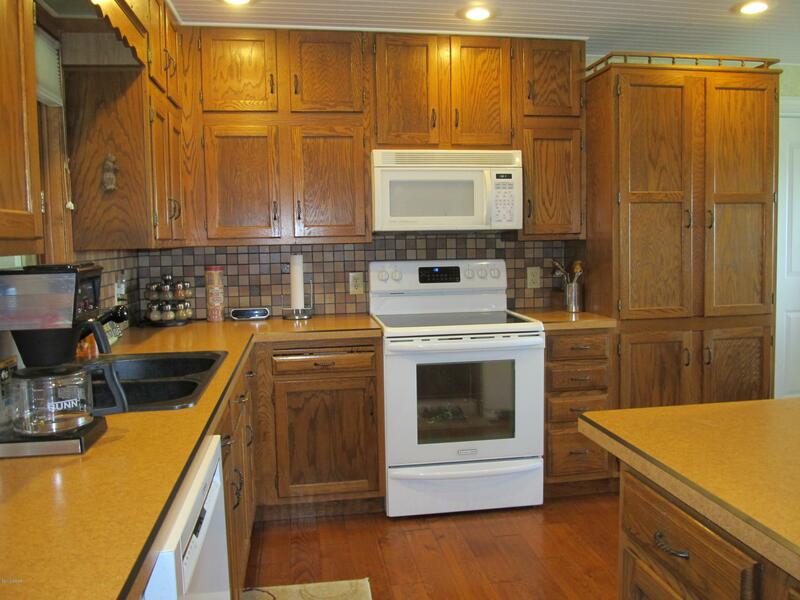 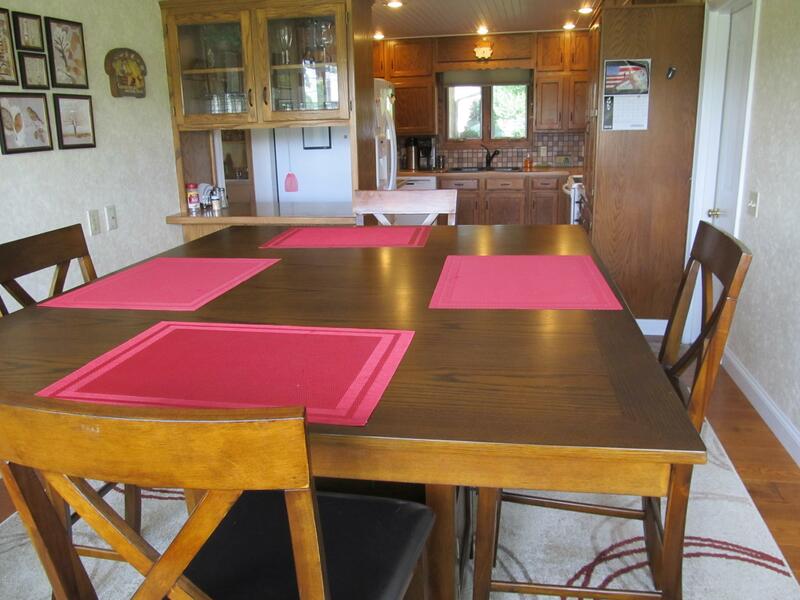 Dining room has a built-in hutch & is combined with living room. 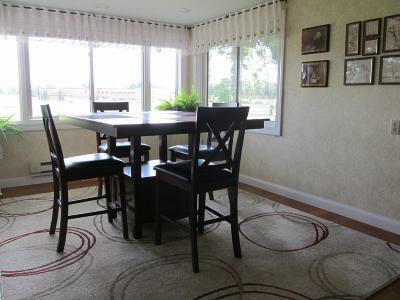 The eat-in kitchen has beautiful hardwood floor with a pantry that flows into a beautiful step-up dining sun room w. recessed lights. Appliances included. 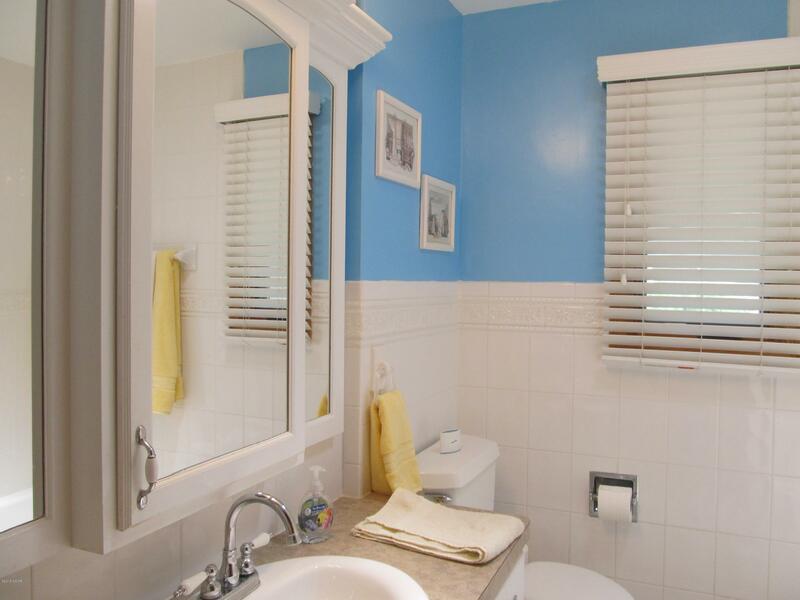 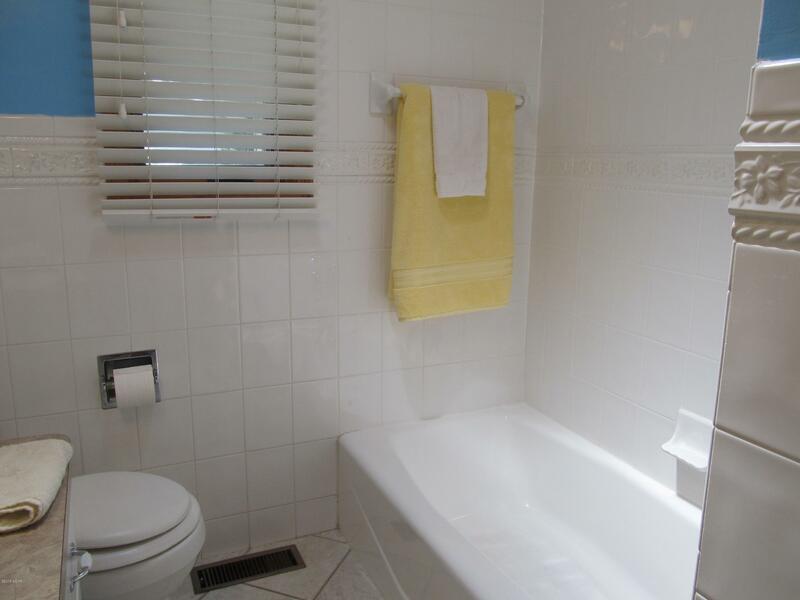 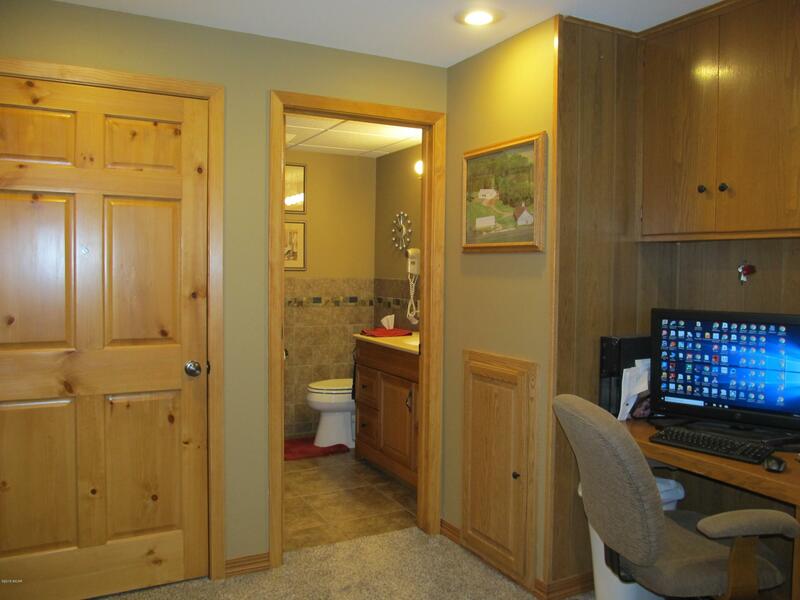 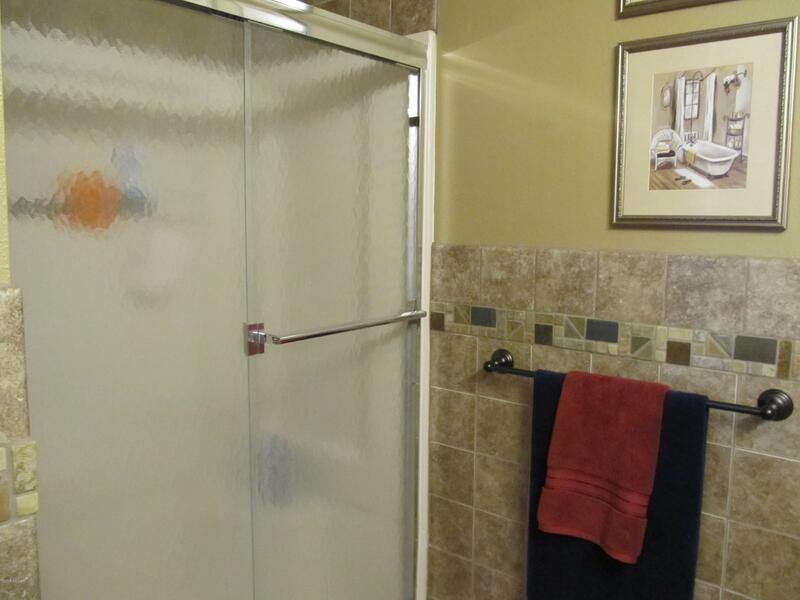 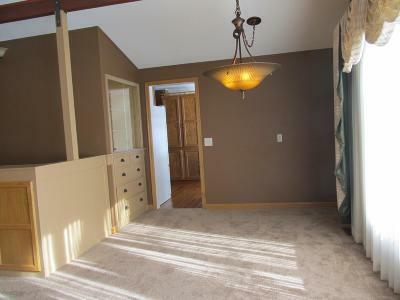 The main floor also has 3 bedrooms and a full bath with a skylight, ceramic tile floor and tub surround. 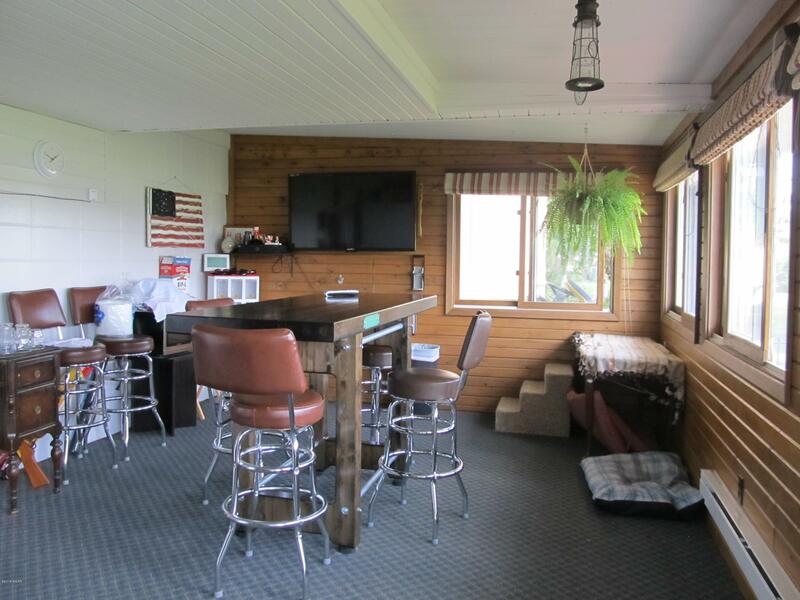 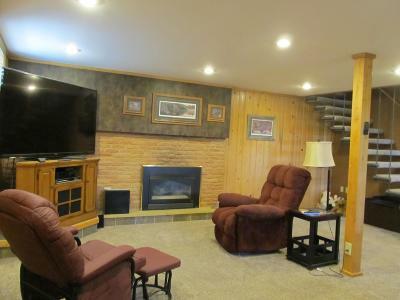 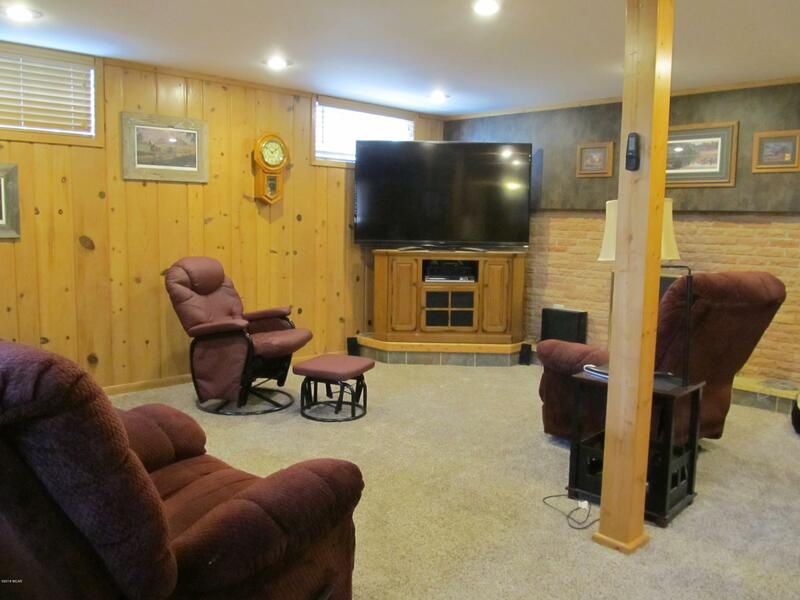 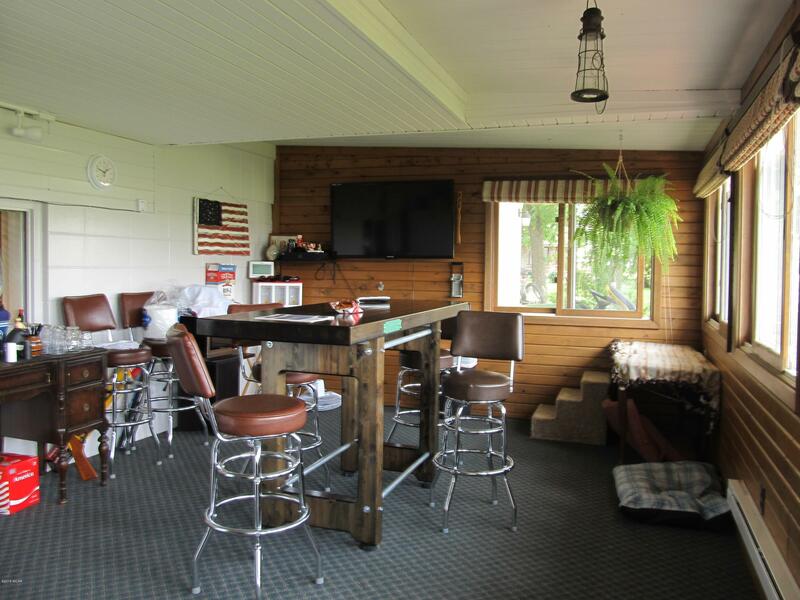 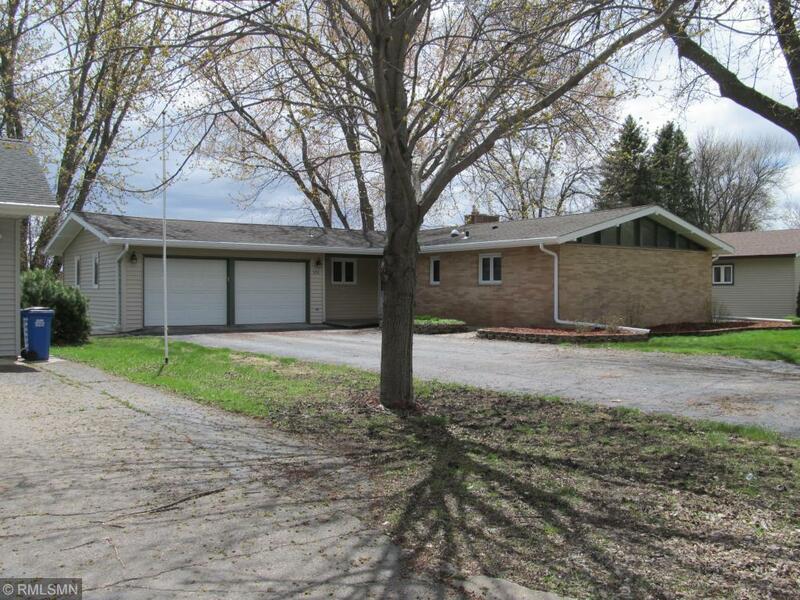 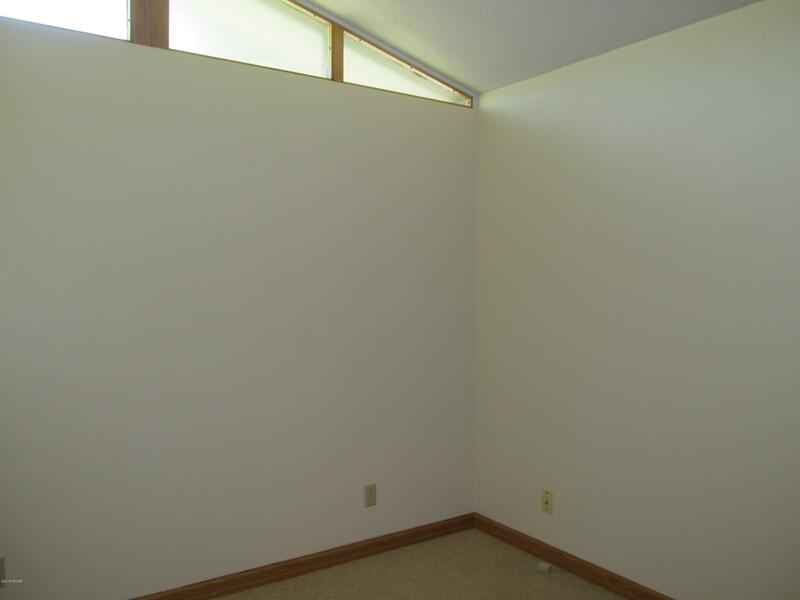 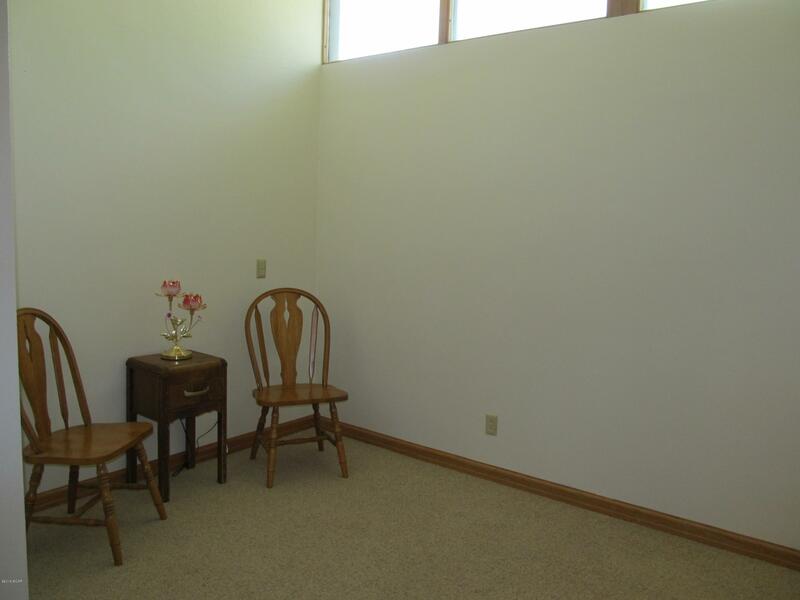 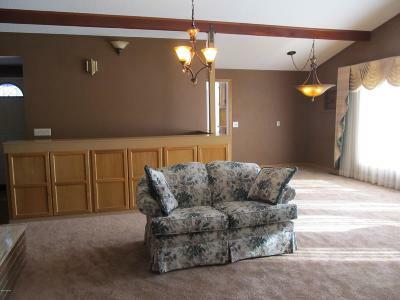 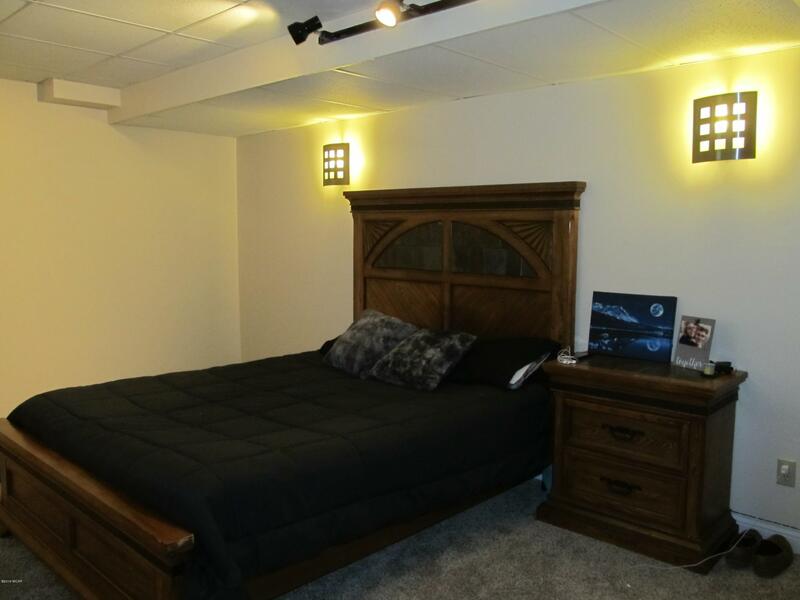 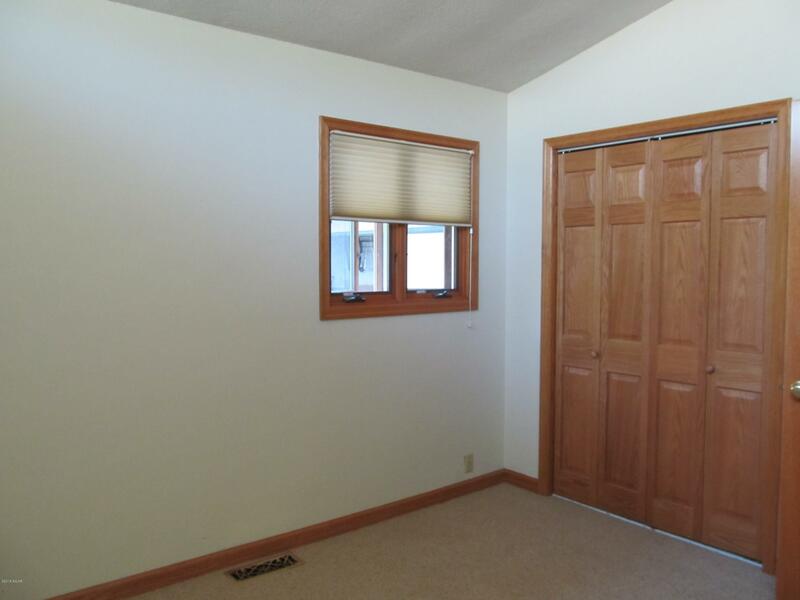 The basement features a large family room with beautiful knotty pine walls, gas fireplace and recessed lighting. 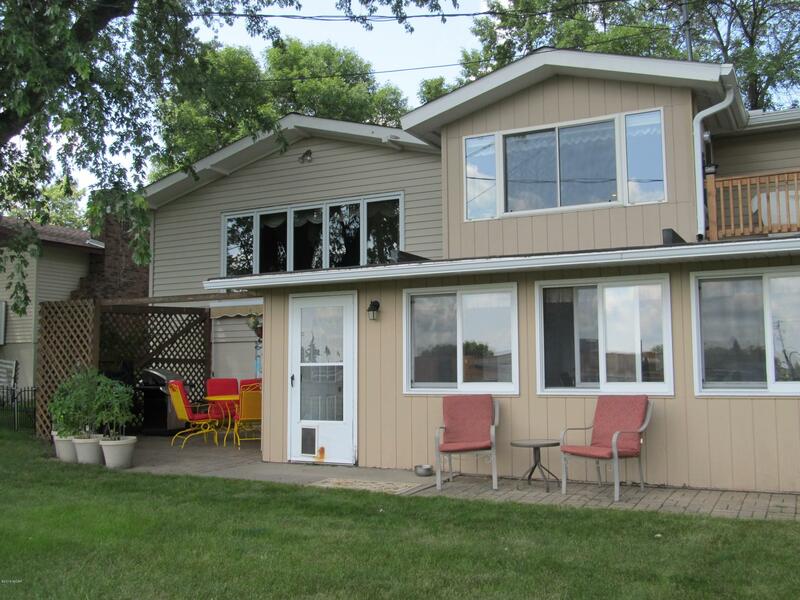 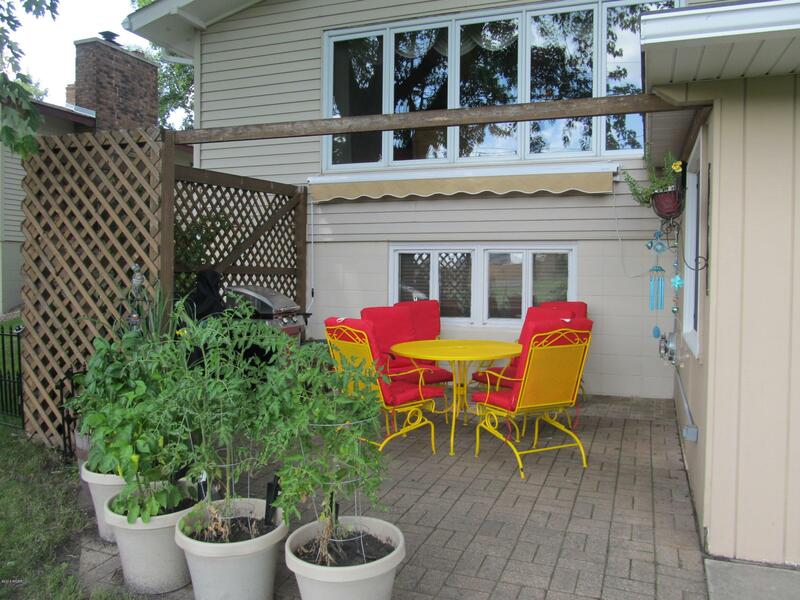 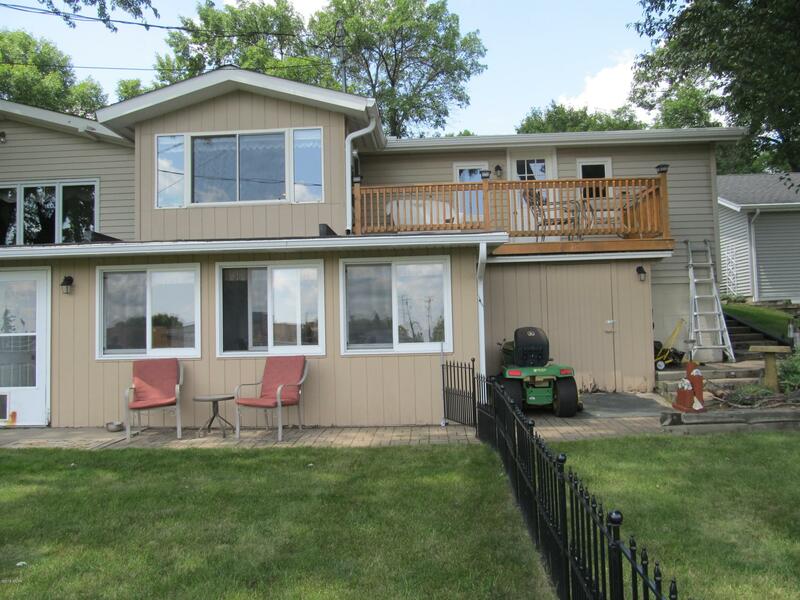 You'll absolutely love the gorgeous 4 season porch overlooking the back yard, deck and patio! 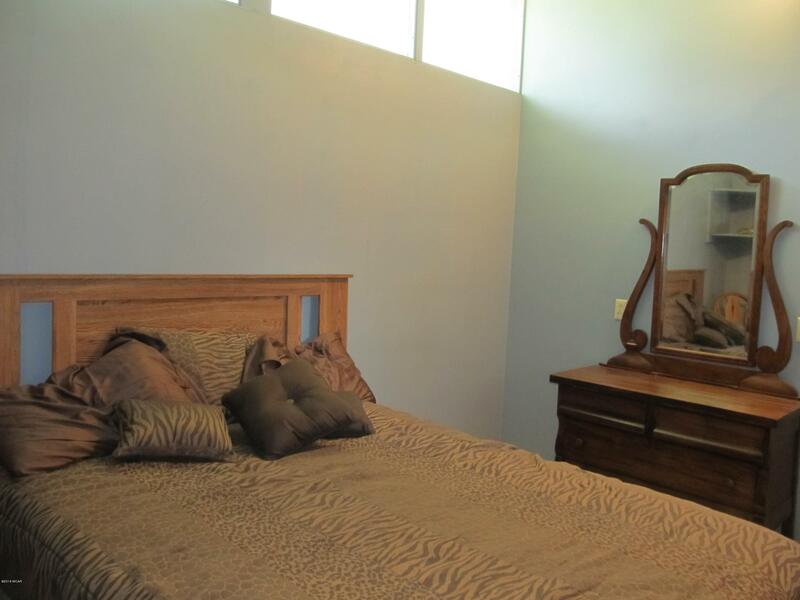 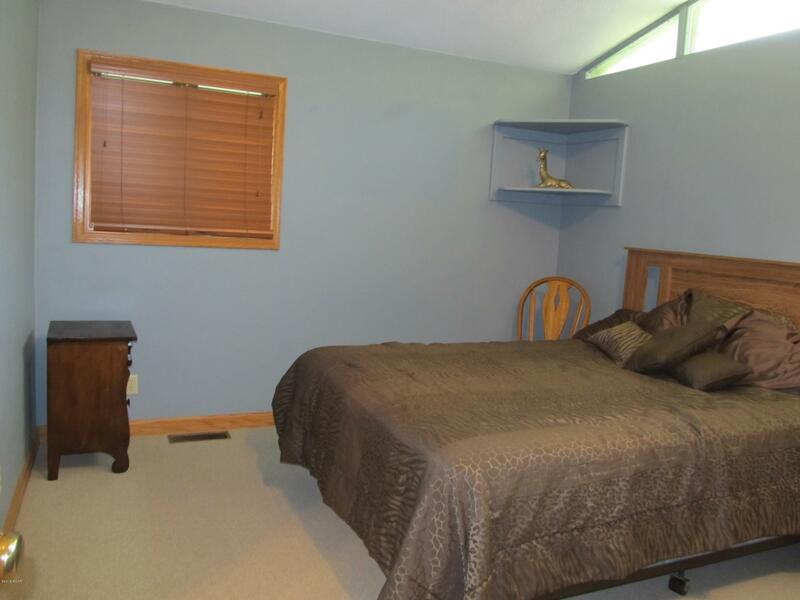 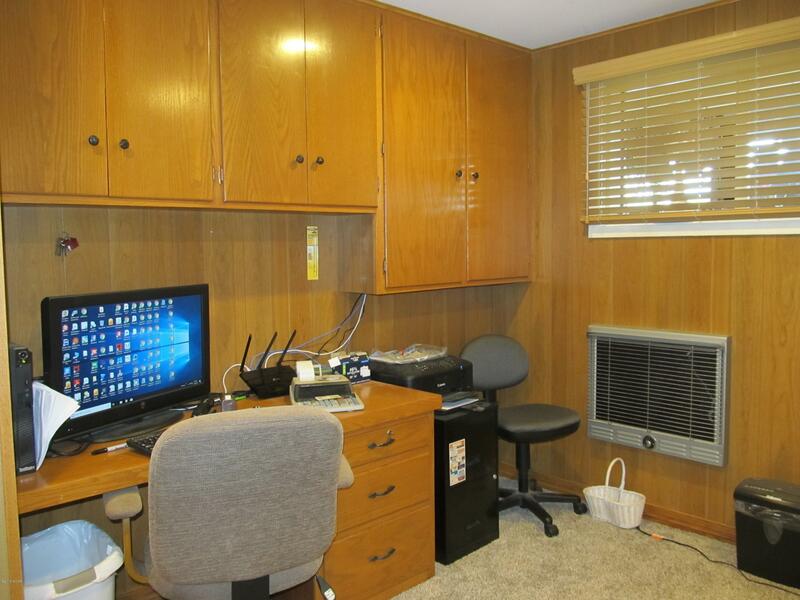 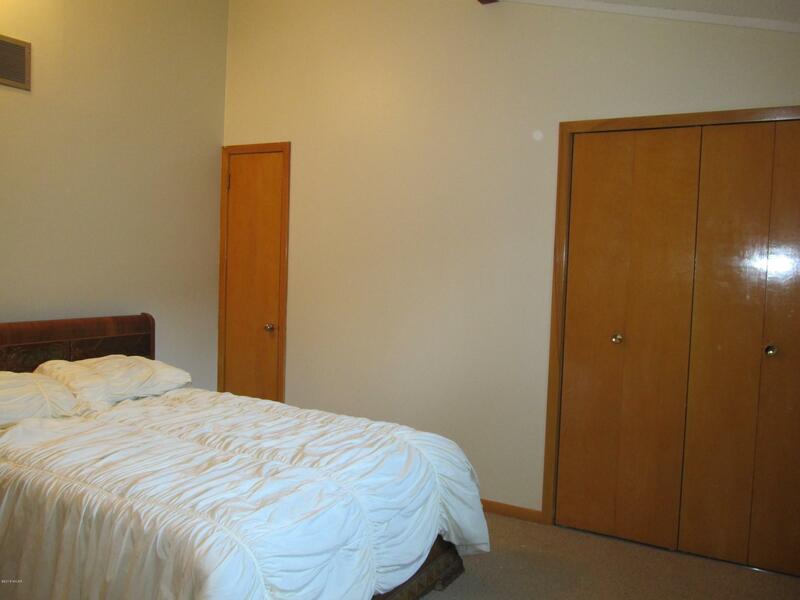 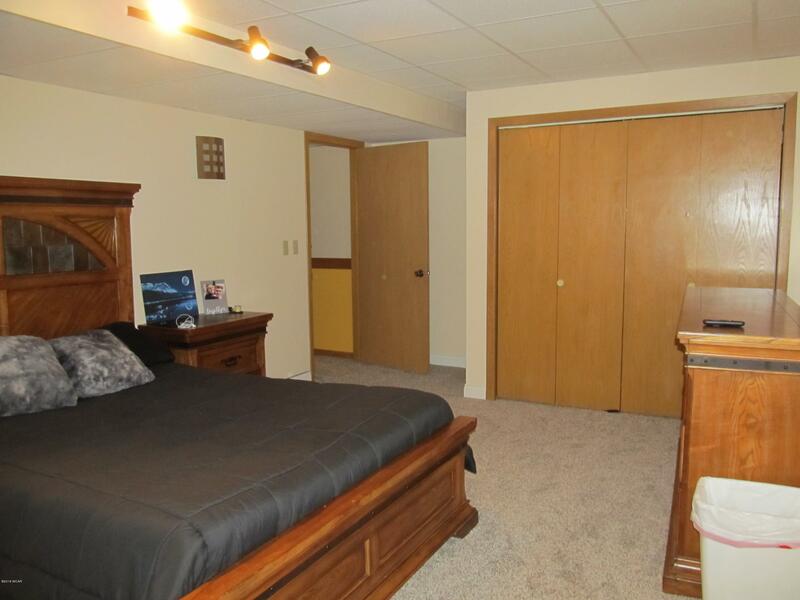 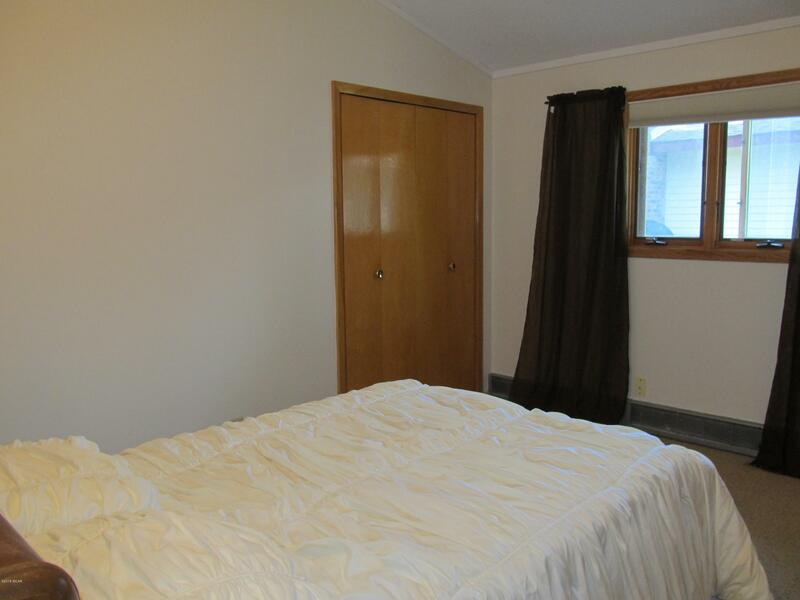 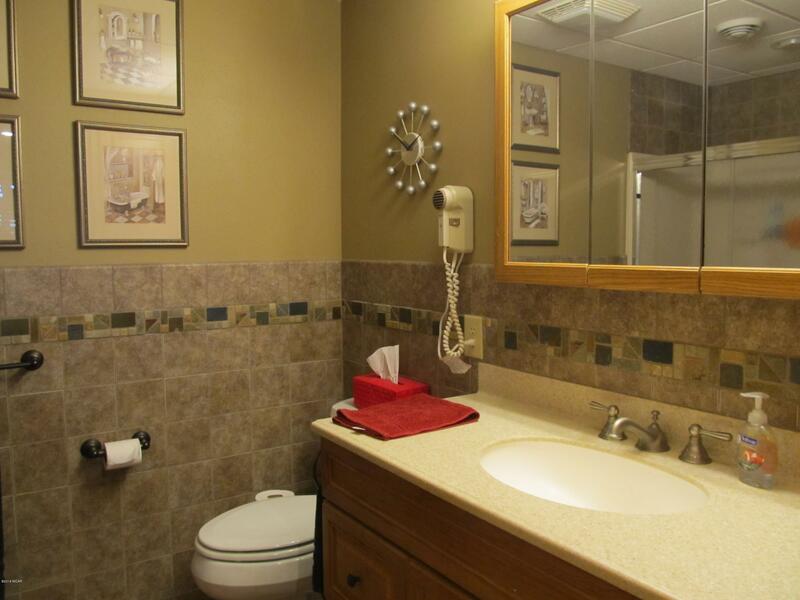 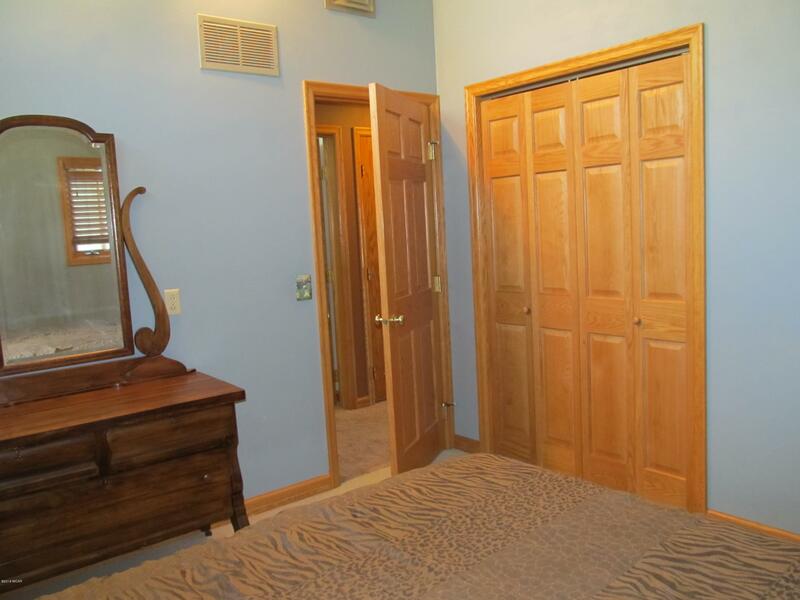 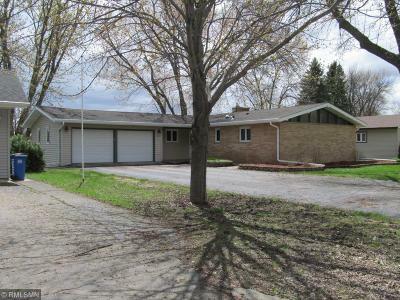 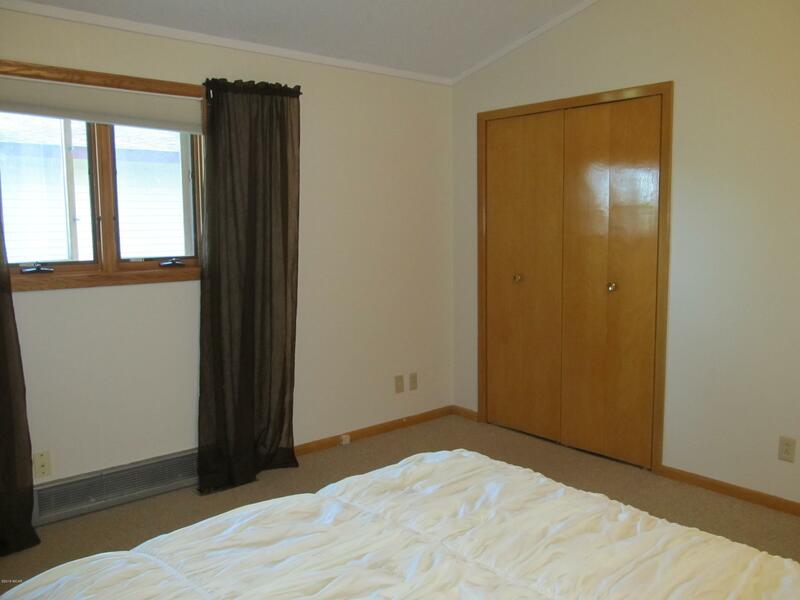 There's also another bedroom, office 3/4 bath w. heated ceramic tile, & laundry.